6d 1/01/2019 RANDWICK-KENSINGTON: Margin 14.2 Distance 2400m SOT G RST 3U OPEN LR Group LR Race New Year's Day Cup Prize $151,000 API 1.92 Race Time 2:28.79 Time Adj -0.21 Sec Time 35.7 Sec Time Adj +0.03 Jockey Glyn Schofield Weight 54.0 CD 54.5 BP 4 Odds 20-1 30-1 - 25-1 Trainer Gary Moore OHR: 45 Ongoing Winners [o] 00-02-05 Rail Out 5m 1500m-W/Post. Out 3m Remainder. (Pent: 4.71). Track Direction Clockwise Stewards Slow to begin and then shortly after the start shifted out and made contact with Earth Angel. Winner Naval Warfare (54) Second Earth Angel (54) Third Destiny's Kiss (59) Inrunning Position first on settling, first at 1200m, first at 800m, third on turn Tempo Suited front runners Video Comment Jumped slowly and then shortly after, shifted out and made contact with runner, worked across and led by 1.5L on settling, led at 800m, 2nd on the inside 1/4L on the turn, headed straightening, dropped out sharply. 14d 26/12/2018 NEWCASTLE: Margin 3.7 Distance 2360m SOT G RST 3U CL1 Race New Fm Plate (C1) Prize $35,000 API 0.17 Race Time 2:26.83 Time Adj -2.55 Sec Time 0:35.52 Sec Time Adj -0.59 Jockey Grant Buckley Weight 56.5 CD 56.5 BP 1 Odds 4-1 5-1 - 9-2 Trainer Gary Moore OHR: 45 Ongoing Winners [o] 03-03-08 Rail Out 11m Entire. 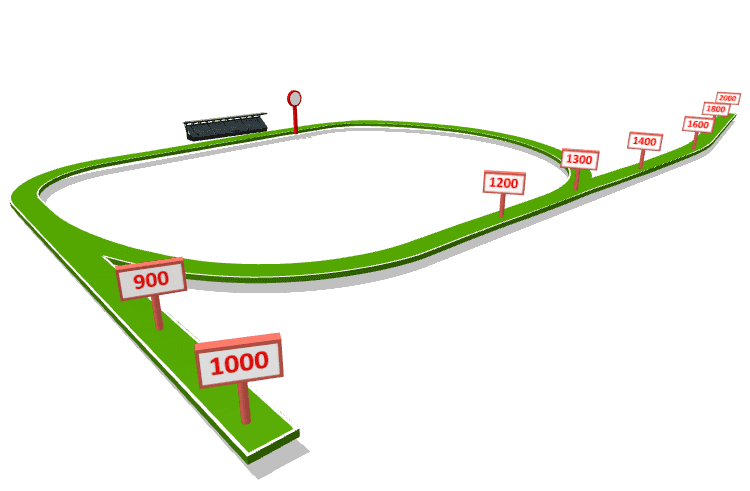 Track Direction Clockwise Stewards Near the 1600m, steadied away from the heels of Man And Superman. Winner Front View (55) Second Mushroom Rock (56.5) Inrunning Position third on settling, fourth at 1200m, fourth at 800m, fifth on turn Tempo Suited front runners Video Comment Fast into stride, settled 3rd of 9 on the inside 3.25L, received a soft run in the box-seat, steadied away from the heels 1600m, 4th at 800m, 3rd on the inside 2L on the turn, off leader's heels 250m, ground away to hold minor placing. 19d 12/12/2018 WYONG: Margin 2.0 Distance 2100m SOT G RST 3U CL1 Race C.I.A Plate (C1) Prize $35,000 Race Time 2:10.32 Time Adj +0.8 Sec Time 0:35.31 Sec Time Adj -0.19 Jockey Glyn Schofield Weight 56.5 CD 56.5 BP 6 Odds 20-1 20-1 - 14-1 Trainer Gary Moore OHR: 0 Ongoing Winners [o] 01-03-08 Rail True Entire Circuit. Track Direction Clockwise Gear Change Blinkers AGAIN Winner Jazzland (59) Third He's Imposing (59) Inrunning Position eighth on settling, eighth at 1200m, eighth at 800m, seventh on turn Tempo Suited front runners Video Comment Jumped fairly, settled last of 8 2WWC 6+L, last at the 800m, 7th at the turn 5WNC 3.25L covering plenty of extra ground, let down nicely out wide. 6m2d 3/04/2019 RANDWICK-KENSINGTON: Margin 5.4 Distance 1300m SOT S RST 3 MDN Race Events By Atc Mdn Plate Prize $50,000 API 1.82 Race Time 1:17.22 Time Adj -0.79 Sec Time 34.86 Sec Time Adj -0.96 Jockey Christian Reith Weight 57.0 CD 57.0 BP 7 Odds 50-1 60-1 - 50-1 Trainer Anthony Cummings OHR: 0 Ongoing Winners [o] 01-02-04 Rail Out 3M ENTIRE. (Pent: 5.11). Track Direction Clockwise Gear Change Gelded Stewards Began only fairly, shifted out and made contact with the hindquarters of Word For Word. In the incident lost ground and then shifted behind runners from its wide barrier. Early in the straight, shifted to the outside of the field and closed off the race well. Winner Word For Word (55) Second Pinup Miss (55) Third Savigne (55) Inrunning Position ninth on settling, ninth at 800m, ninth on turn Tempo Suited front runners Video Comment Jumped fairly, shifted out and contacted runner, lost ground and then shifted behind runners from its wide gate, settled last of 9 on the inside 6+L, still last to the turn 2WWC 6+L, shifted out and closed off well. Recorded fastest last 200m of the day. 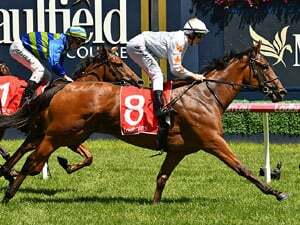 17d 3/10/2018 BALLARAT: Margin 10.5 Distance 1600m SOT G RST 3 MDN Race Bartlett Blinds Mdn Plate Prize $26,000 API 1.2 Race Time 1:39.78 Time Adj +1.91 Sec Time 0:36.22 Sec Time Adj +2.34 Jockey J Allen Weight 58.0 CD 58.0 BP 12 Odds 30-1 - 40-1 Trainer Darren Weir OHR: 0 Ongoing Winners [o] 00-03-09 Rail Out 7m 600m - WP, True Remainder. (Pent: 5.72). Track Direction Anti-Clockwise Winner Nessuna Fiducia (56) Second Design Rouge (58) Third Grand Symphony (58) Inrunning Position fourteenth on settling, fourteenth at 1200m, fourteenth at 800m, fifteenth on turn Tempo Suited front runners Video Comment Jumped on terms, drifted back, settled worse than midfield 2WWC 5.5L, 5+WWC 6.5L last at the turn, never got going. 11d 16/09/2018 GEELONG: Margin 7.2 Distance 1325m SOT G RST 3 CG MDN Race Bet365 Mdn Plate Prize $26,000 Race Time 1:19.16 Time Adj +1.6 Sec Time 34.18 Sec Time Adj -0.10 Jockey Damian Lane Weight 58.0 CD 58.0 BP 2 Odds 15-1 16-1 - 15-1 Trainer Darren Weir OHR: 0 Ongoing Winners [o] 02-02-09 Rail Out 6m Entire Circuit. (Pent: 4.9). Track Direction Anti-Clockwise Stewards Jumped in and hampered Lion Of Judah, shortly after. Winner Starvirgo (58) Second Design Rouge (58) Third Bonaparte (58) Inrunning Position seventh on settling, seventh at 800m, seventh on turn Tempo Suited front runners Video Comment Jumped on terms, eased back, settled midfield 4.75L on inside, saved ground inside midfield 3.25L at the turn, just battled up the run home. 5 of 8 20/02/2019 RANDWICK-KENSINGTON: Margin 10.1 Distance 1100m SOT S RST 3 MDN Race Tab Rewards Mdn Plate Prize $50,000 API 0.64 Race Time 1:02.82 Time Adj -1.48 Sec Time 32.98 Sec Time Adj -2.52 Jockey Blake Shinn Weight 57.0 CD 57.0 BP 4 Odds 40-1 - 40-1 Trainer John P Thompson OHR: 0 Ongoing Winners [o] 03-03-09 Rail Out 5m Entire Course. (Pent: 5.04). Track Direction Clockwise Stewards Slow to begin and shortly after the start was hampered by Line Up Girls. Winner Classique Legend (57) Second Got Your Six (55) Third Full Recognition (57) Inrunning Position seventh on settling, seventh at 800m, eighth on turn Tempo Suited front runners Video Comment Jumped slowly and shortly after was hampered by runner, settled 7th of 8 2WWC 6+L, last 2WWC 5L on the turn behind a wall, placed under pressure when leaders fanned across early in the straight but showed little. Never in it. 6d 29/11/2018 WYONG: Margin 15.9 Distance 2100m SOT S RST 3U CL1 Race Usg Boral Plate (C1) Prize $35,000 API 1.77 Race Time 2:11.17 Time Adj -0.03 Sec Time 0:36.51 Sec Time Adj +1.04 Jockey Jean Van Overmeire Weight 55.0 CD 55.0 BP 1 Odds 66-1 100-1 - 60-1 Trainer M & D Kearney OHR: 0 Ongoing Winners [o] 02-02-09 Rail Out 3m Entire Circuit. Track Direction Clockwise Stewards Near the 300m, hung in for a short distance after improving to the outside of Lutreola. Winner Jazzland (56.5) Second Captain's Legend (59) Third Dreamfyre (54.5) Inrunning Position seventh on settling, sixth at 1200m, seventh at 800m, eighth on turn Tempo Suited front runners Video Comment Jumped on terms and drifted back, settled worse than midfield 6+L on the inside, 7th at 800m and under pressure, hung in 300m, 4WNC worse than midfield 6+L on the turn, tired and eased down at the top of the straight. 9d 23/11/2018 HAWKESBURY: Margin 7.6 Distance 2100m SOT G RST 3U CL1 Race Polytrack Plate (C1) Prize $35,000 Race Time 2:11.02 Time Adj +4.38 Sec Time 0:33.55 Sec Time Adj -2.02 Jockey Jean Van Overmeire Weight 55.0 CD 55.0 BP 6 Odds 66-1 50-1 - 60-1 Trainer M & D Kearney OHR: 0 Ongoing Winners [o] 02-02-11 Rail Out 3m 1300m - W/P. True Remainder. (Pent: 4.8). 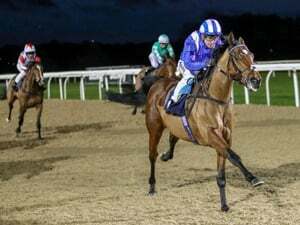 Track Direction Clockwise Gear Change Bit Lifter FIRST TIME, Blinkers OFF FIRST TIME, Winkers FIRST TIME Stewards Raced keenly and proved difficult to settle in the early and middle stages due to the slow tempo of the event. Winner Captain's Legend (56.5) Second Front View (56.5) Third Time To Rethink (54.5) Inrunning Position second on settling, first at 1200m, third at 800m, fifth on turn Tempo Suited front runners Video Comment Fast into stride, settled on-pace 2WNC 1/2L, raced keenly and proved difficult to settle in the early and middle stages due to the slow tempo, 3rd at 800m, inside midfield 2.5L on the turn, beaten 300m, didn't finish off. 3m25d 25/03/2019 GOULBURN: Margin 4.1 Distance 1500m SOT G RST MDN Race Randw/Sthn H'lands Equine Mdn Prize $22,000 API 5.69 Race Time 1:30.08 Time Adj +0.38 Sec Time 0:36.54 Sec Time Adj +1.35 Jockey Jay Ford Weight 57.0 CD 57.0 BP 4 Odds 16-1 - 15-1 Trainer J G Sargent OHR: 0 Ongoing Winners [o] 00-02-08 Rail True. (Pent: 4.8). Track Direction Clockwise Winner Peace Of Mind (55.5) Second Diamond Pedrille (57) Third Joyous Times (55.5) Inrunning Position sixth on settling, seventh at 800m, eighth on turn Tempo Suited back makers Video Comment Jumped fairly, settled 6th of 9 on the inside 4L, last at the turn on the inside 4.25L, switched off heels last furlong and made some late ground. 6 of 10 30/11/2018 CANBERRA: Margin 4.5 Distance 1400m SOT G RST MDN Race Pac. Facilities M'ment Mdn Prize $20,000 API 3.67 Race Time 1:25.67 Time Adj +3.18 Sec Time 0:34.66 Sec Time Adj +0.30 Jockey K Jennings Weight 57.5 CD 57.5 BP 1 Odds 20-1 - 16-1 Trainer J G Sargent OHR: 0 Ongoing Winners [o] 01-02-08 Rail True. (Pent: 4.1). Track Direction Clockwise Gear Change Lugging Bit FIRST TIME Stewards Slow to begin. Held up making the home turn. Winner Fabricator (59) Second Luga Lad (59) Third Havelka (57) Inrunning Position tenth on settling, tenth at 800m, eighth on turn Tempo Suited front runners Video Comment Slow to begin, settled 2nd last on the inside 4.5L, on the inside last 3.25L at the turn, held up on straightening. Didn't do much once clear. 8 of 8 23/08/2018 HAWKESBURY: Margin 13.1 Distance 1100m SOT G RST MDN Race Kevin Waters Towing Mdn Plate Prize $30,000 API 1.54 Race Time 1:04.27 Time Adj +3.02 Sec Time 0:34.53 Sec Time Adj +1.16 Jockey James Mcdonald Weight 57.0 CD 57.0 BP 5 Odds 11-1 16-1 - 14-1 Trainer G Waterhouse & A Bott OHR: 0 Ongoing Winners [o] 00-01-05 Rail Out 1m 600m-400m; True Remainder. (Pent: 4.76). Track Direction Clockwise Winner Sylvia's Mother (54.5) Second Pindus (56.5) Third Autumn (54.5) Inrunning Position sixth on settling, sixth at 800m, eighth on turn Tempo Suited front runners Video Comment Jumped on terms, settled 6th of 8 4WNC 3L, 6th at 800m, last 5WNC 4.25L on the turn, ran out straightening, failed to respond to rider's urgings, eased down near the 150m. Vet-no abnormality. 10d 15/03/2019 KEMBLA GRANGE: Margin 0.1 Distance 1600m SOT H RST MDN Race Jim Beam Mdn Hcp Prize $35,000 API 0.65 Race Time 1:40.84 Time Adj +2.44 Sec Time 35.44 Sec Time Adj +0.69 Jockey Kathy O'hara Weight 56.0 CD 56.0 BP 5 Odds 10-1 11-1 - 13-2 Trainer W P Cave OHR: 0 Ongoing Winners [o] 01-03-08 Rail True. Track Direction Clockwise Winner Loveseat (57) Third Is That So (58.5) Inrunning Position first on settling, first at 1200m, first at 800m, first on turn Tempo Suited front runners Video Comment Fast into stride, led by 1.5L on settling, pushed on 1000m, held position to the turn 2WNC 1.25L, leader straightening, kept kicking away well and looked the winner 200m from home but nailed on line by favourite. 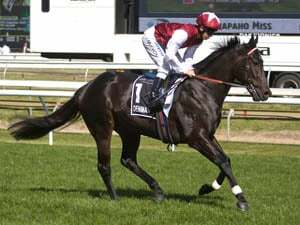 12d 9/02/2019 KEMBLA GRANGE: Margin 8.3 Distance 1400m SOT S RST MDN Race Wayne Harris Mdn Hcp Prize $35,000 API 0.98 Race Time 1:24.50 Time Adj +0.6 Sec Time 35.71 Sec Time Adj +1.22 Jockey Ms J Taylor Weight 54.0 CD 54.0 BP 7 Odds 10-1 - 11-1 Trainer W P Cave OHR: 0 Ongoing Winners [o] 02-04-15 Rail Out 5m 1100m - WP. Out 3m Remainder. Track Direction Clockwise Stewards Inquiry into performance. Hung out during race. Winner Renalot (55) Second Loveseat (54.5) Third Pop Girl (57.5) Inrunning Position third on settling, third at 800m, first on turn Tempo Suited front runners Video Comment Fast into stride and beaten for early speed, settled on-pace 3WNC 1L, pulled herself into the lead at 600m, led by 2L 3W on the turn, clear leader straightening, remained deep but headed near the 300m, didn't finish off after tough run. 21d 3/04/2019 RANDWICK-KENSINGTON: Margin 1.3 Distance 1300m SOT S RST 3 MDN Race Events By Atc Mdn Plate Prize $50,000 API 1.82 Race Time 1:17.22 Time Adj -0.79 Sec Time 34.86 Sec Time Adj -0.96 Jockey Blake Shinn Weight 55.0 CD 55.0 BP 9 Odds 6-4 - 11-8 Trainer G Waterhouse & A Bott OHR: 0 Ongoing Winners [o] 01-02-04 Rail Out 3M ENTIRE. (Pent: 5.11). Track Direction Clockwise Gear Change Blinkers FIRST TIME Stewards Began awkwardly and shortly after was hampered by Word For Word. Travelled wide and without cover throughout the event. Winner Word For Word (55) Third Savigne (55) Inrunning Position third on settling, third at 800m, first on turn Tempo Suited front runners Video Comment Jumped awkwardly and shortly after, hampered by runner, settled 5th of 9 3WNC 3L, pressed forward at 800m to sit 3W on the speed, joint leader 3W 1.25L on the turn, came away for two horse war in straight but wide run told late. 3 of 9 13/03/2019 WARWICK FARM: Margin 2.1 Distance 1200m SOT G RST 3 F MDN Race The Championships On Sale Mdn Prize $50,000 API 0.59 Race Time 1:10.55 Time Adj +1.22 Sec Time 34.96 Sec Time Adj +1.07 Jockey Blake Shinn Weight 56.0 CD 56.0 BP 6 Odds 9-1 - 13-2 Trainer G Waterhouse & A Bott OHR: 0 Ongoing Winners [o] 06-03-11 Rail True. (Pent: 4.76). Track Direction Clockwise Winner Fasika (56) Second Got Your Six (56) Inrunning Position seventh on settling, seventh at 800m, fifth on turn Tempo Suited front runners Video Comment Jumped fairly, settled 7th of 9 on the inside 6+L, improved position on rails from 600m, 5th 2WWC 3.25L on the turn, pushed clear straightening and ran on strongly doing best work late.